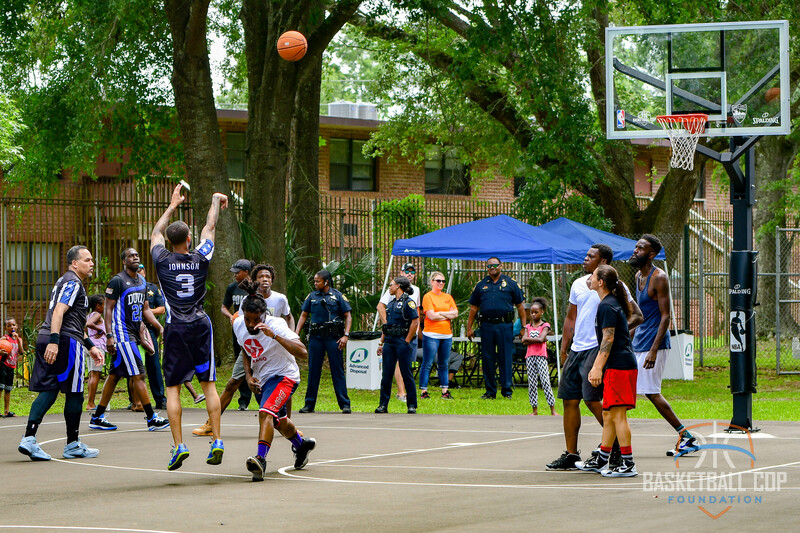 Duval Asphalt could not be more excited to have partnered with Bobby White, the Basketball Cop Foundation, the Jacksonville Sheriff’s Office, and Celebration Church to bring a brand new, regulation size, basketball court to the Celebration Dream Center right here in Jacksonville, FL. The Grand Opening Celebration was in early June! A few months ago, we started planning a court renovation at Celebration Church’s Dream Center in Jacksonville FL. We started planning with a modest budget to renovate their existing court. Well…after receiving our largest in-kind donation to date from Duval Asphalt Products, Inc., our modest budgeted renovation has turned into a “Whatever it takes for the community” full blown court replacement!!! We broke ground today!!! We will be partnering with the Jacksonville Sheriff’s Office on a huge Grand Opening Community Event in early June. Stay tuned!! !